We are excited to announce that Freeman is officially an 'ISO 9001:2008 Certified' company! ISO 9001 addresses some of ISO's best known standards, providing guidance and tools for quality management and continuous improvement. What does this mean for you? While we have always held ourselves to a high standard, we decided it was time to be certified. This gives you an official guideline of what we have always expected of ourselves. Do you like RenShape 5045 for its density, but wish it was available in greater thicknesses? Do you create large tools and need to reduce the number of glue lines in your project? Look no further than RenShape 5035 for a variety of great characteristics! • This foam board combines the benefit of a thick board found in RenShape 5030 with a higher density, closer to RenShape 5045. • As you can see in the image, this board machines well on the CNC and makes clean-up a breeze by creating chips as opposed to dust. • These features, coupled with its good surface finish and edge definition, give you a board with endless possibilities. 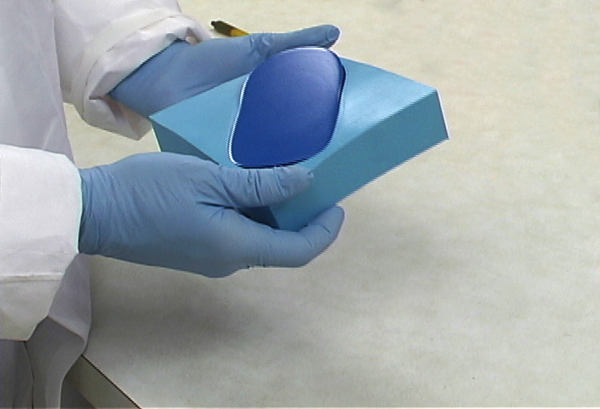 We now offer information on matched adhesives for all RenShape products. Simply visit a RenShape product page on our website and follow the link. In this unique instance, cutting down a tree and using it can save the Ash tree species. With the ongoing threat of Emerald Ash Borer (EAB), an insect which damages the leaves and bark of the tree, harvesting these trees before significant damage occurs gives the species a chance for the future. Newly planted Ash will be immune to the EAB, but the current trees will be destroyed by this bug if not used now. For more information on our Ash Dieboard, visit our website or contact your technical representative! If you're new to DIY and want the basics, or you just need a refresher, check out our mass-casting instructions below. Mass Casting is the easiest and most popular method for creating a pattern, part, tool, or mold. 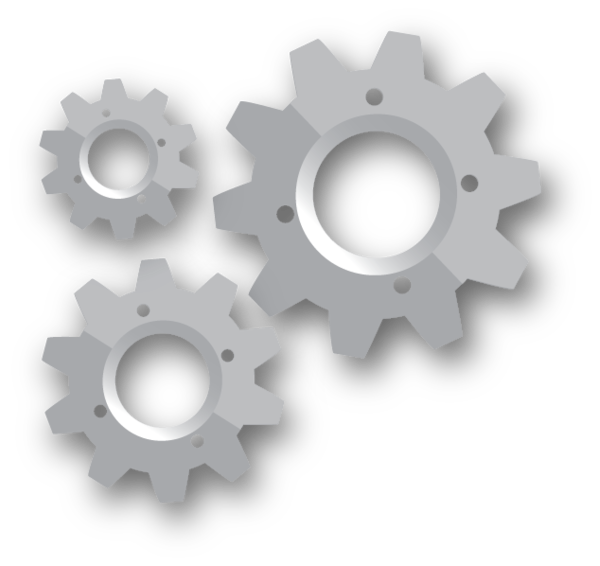 It is the ideal method for smaller parts and offers the widest range of materials to suit any application. 1. 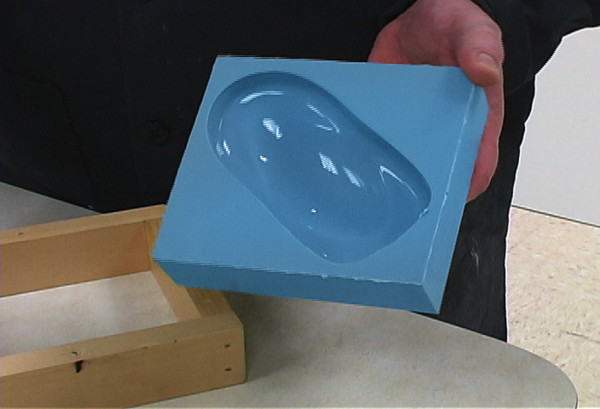 Start with negative mold casting by creating your initial model and building a mold box around it. 2. 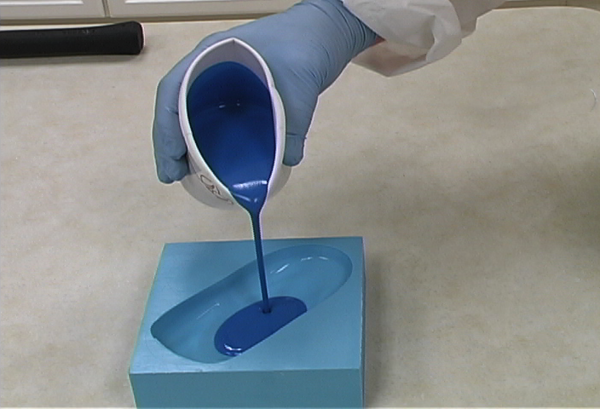 Pour material (usually urethane or silicone rubber) around the model and allow to cure. 3. Remove the mold from the mold box and ready it for positive casting. Remove your original part as well. 4. 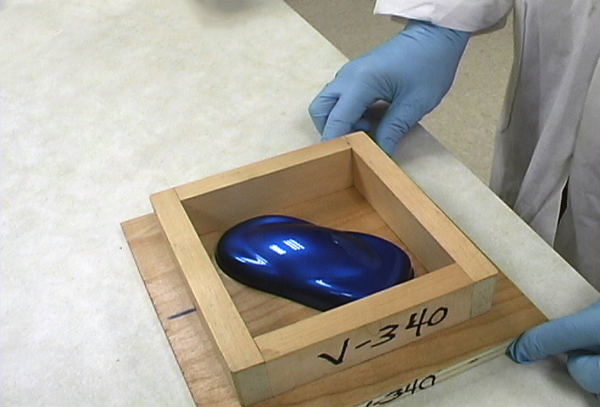 For positive part casting, pour a filled urethane or epoxy into the mold and allow to cure. 5. Once hardened, demold the part. It will require additional time to reach a fully cured state. 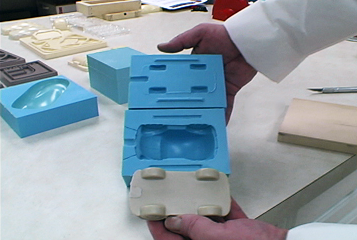 For parts without a flat side, a two-part mold with a parting line needs to be created - see our video on this topic. For a more in-depth look, you can watch our Mass Casting video. When you're ready to get started on your project, head on over to our DIY website Miapoxy.com, with direct ordering capabilities on a wide variety of common DIY materials such as silicone, vacuum bagging supplies, carbon fiber and more. Q: We are making a tool to be used in a thermoform application with RenShape 5179. We are forming white high-gloss acrylic. The plastic is initially around 400°F, but starts to cool immediately once on the tool, and the ends of the tool are warping. What is the most stable board for this application? A: RenShape 5169 and 5179, each with a relatively high CTE, are typically used only in thermoforming to prevent clouding on clear plastic. In this case, we recommend using a more stable board such as RenShape 472, which has a much lower CTE and a higher heat resistance than either board. Q: What is the difference between wet sanding and dry sanding? A: The dry sanding method does not include water while wet sanding uses sand paper submerged in water prior to use. Wet sanding provides a better shine, less build-up, and less dust. 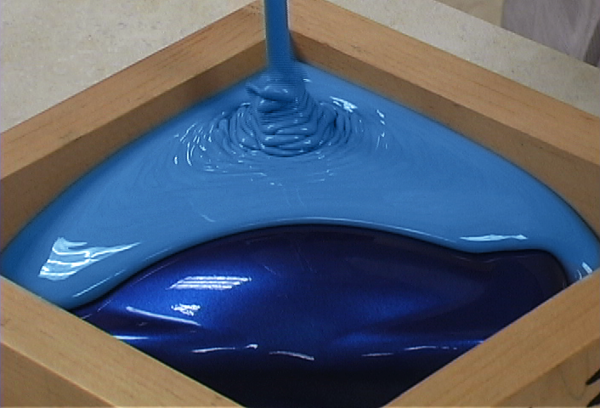 Our Silicon Carbide Wetordry Paper Sheets are a good option for wet or dry sanding. Q: What are the ideal conditions to store my pattern lumber? A: The relative humidity should be around 40-45%, but no lower than 35%. Your concern should not necessarily be the actual temperature, but how the shop is heated. Lumber should be stored away from a heat source, covered with cardboard, and near a humidifier to lessen the chances of lumber drying out.